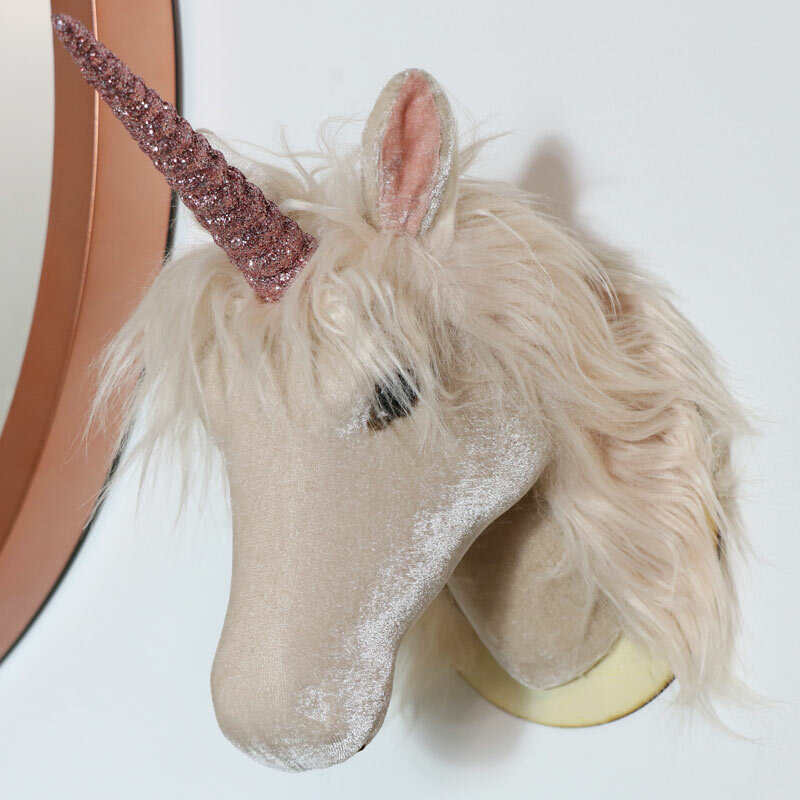 Add some magic and fun to your decor with this cute, fluffy and glittery unicorn trophy head. Pretty in pink and perfect for that magical girly touch. A great gift idea for children and big kids! This unicorn head is a magical home accessory, perfect for all those princesses out there. Ideal for hanging in the bedroom for sparkly decoration or in the living room or hallway for a unique and quirky touch. A welcome addition to our extensive range of animal heads. A much more friendly alternative for adding some animal magic to your decor. 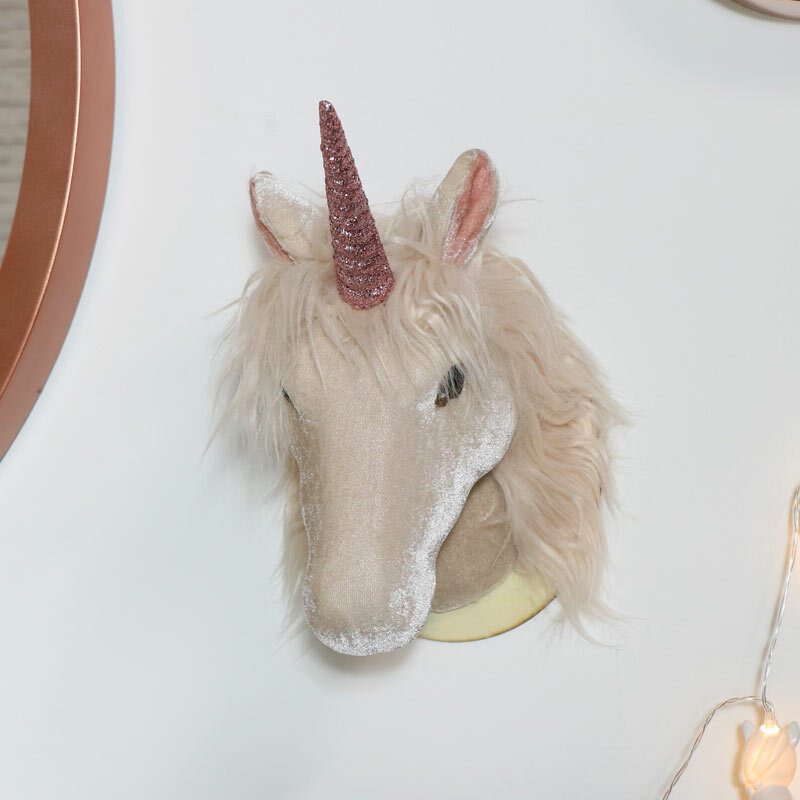 Add some magic and fun to your decor with this cute, fluffy and glittery unicorn trophy head. Pretty in pink and perfect for that magical girly touch. A great gift idea for children and big kids! This unicorn head is a magical home accessory, perfect for all those princesses out there. Ideal for hanging in the bedroom for sparkly decoration or in the living room or hallway for a unique and quirky touch. A welcome addition to our extensive range of animal heads. A much more friendly alternative for adding some animal magic to your decor. Crafted in a pink velvet fabric with a glittery horn. Lightweight design that is easily wall mounted with a hook on the back for hanging.